We know life gets crazy and the last thing you want on your mind is your paperwork. There’s a better way! Getting organized has never been easier with your very own Professional Briefcase®! What is the Professional Briefcase®? The Professional Briefcase is a safe, cloud storage solution for your professional information that showcases all of your credentials (license, specialty, certifications, skills, education, and resume), your work history, and a snapshot of your relevant personal information. What are the benefits of the Professional Briefcase®? 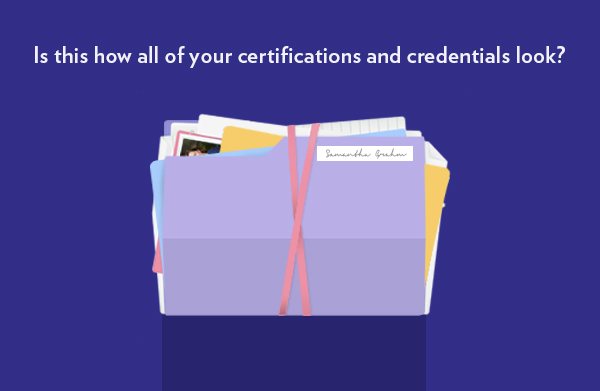 Praos Health uses the information in your briefcase to send you alerts and reminders for expiring licenses, certifications, and documents, ensuring that you are always up-to-date with renewals. The Professional Briefcase is simple to use, keep updated and is available to you for free! Sign up now to create your briefcase.